Thank you to Gracie for this beautiful graphic. I emailed Dr. Smith Thursday with all the details of the visit with Dr. Rutledge. Dr. Rutledge has called several times to check on KC. KC is still snotty and sickly, I'm giving her the meds. She will go to one of the vets Monday morning. Daddy Charley is well now. Mommie ML has a migraine, it's getting ready to storm, but fortunately NO flu!!! Isn't this cute of KC sticking her tongue out? This is the photo KC sent to Dr. Smith in her email. We've been praying and purring for all of you -- for the two who've been sick and for you and KC's housemates who are looking after KC and her Daddy Charley. We sure hope the WHOLE HOUSEHOLD will be back in the pink soon, sooner, soonest! 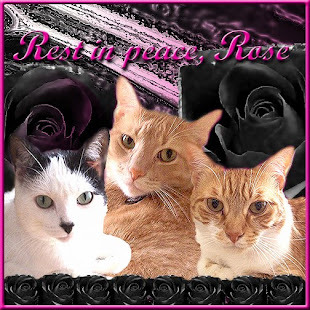 My sisters and I are sending lots of purrs to KC and to Charley too. We're glad your daddy's doing better and we want you better too - RIGHT NOW! Go away sick! We stick our tongues out at you too. BLEHHHHHH! Boy oh boy, haven't you all been having a time! We want to send you purrs and prayers that everyone gets back to feeling better! oh nos, I just heard that you are unwell, KC and Daddy Charley. Hope you both get better real soon. I am not purring much because I am sickly too. But I am sending them to you and SS would purray for your recovery as well. Poor KC...we hope you will be feeling better soon!!! Oh, KC, you are so cute. Glad Daddy Charley is doing better. Now Mom ML, we send purrs and tail wags for you and KC. We want both of you to get well. kissies & snugglies to you all! we's purrin' fur a good an' quick healin'!! Oh KC and daddy charley too we are sending huge purr volumes your way to encourage you both to start feeling better asap! Hoping that KC feels well soon, and that the evil migraine goes away soon too! Dear KC, we will definitely be sending you purrs and prayers for you to feel better and to breathe with ease through your little nosey. I am still purring for KC and keeping paws crossed that she gets better very, very soon! We just heard about your situation, and Elvira, & I, are working overtime on the Purrs, and Get Well Vibes!!! Daddy Kiril send his love, and support, as well! We are Glad Charley is doing better, but we are all worried about dear KC. Purr, purr, purr, purrrrrr... We have 4 purr engines here and meowmy is praying and praying for KC, daddy Charley and mom ML! Please please get well soon! Purrs, hugs and love from all of us! We are purring and crossing our paws, KC! Please fell better soon! I am glad that Daddy Charley is better. I hope that KC gets better soon. Herman sends healing purrs and I send prayers. Our loudest and biggest purrs to KC and Mom ML -- Daddy Charley too, though it's good to read he's okay now! Please, please, everyone be well. Oh KC, we are so sorry to hear that you are still sick. The donkeys are crossing their hooves as hard as they can to help you get better. Also we are all purring like crazy for you. Lots of prayers too. Hugs to ML in hopes the headache goes far away. Glad to hear that Daddy Charlie is better. Take care all of you. 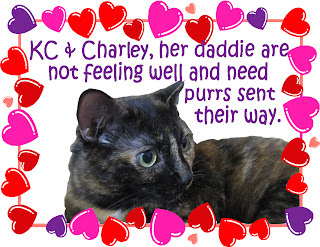 Sending purrs and snuggles to both KC and Papa Charley. We hope you both feel much better soon. We're glad that there's better news on the health front in your household. 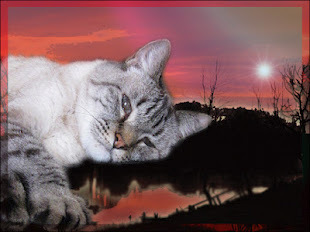 I'll purr and Mum will send lots of healing thoughts to help KC & Daddy Charlie continue to get well. We would also like to say thank you very much for stopping by after Gypsy went to the Bridge. I am so sad to hear that everyone is not doing well at your house. I'm purring really hard for KC! Glad Daddy Charley is better. Healing Purrs that ML's migraine goes away and you feel lots better KC. headbutts to KC and whiskery kisses to send that nasty migraine away. Glad Daddy Charley is better, now it is your turn to get well!! Brian sent me over ...my paws are crossed for KC and Charley! OH NO! I'm coming right over! we is happy that DaddyCharley is doing better, but we is still purrring wif all our mights for KC. Please get better honey! We are so very sorry effuryone is feeling sooo sickly. We purray Our hardest for effuryone to get better the quickest the better! We loves you all as if you all were Our furry own! Listen Up, Brutus Jr! You're the Go-to Cat at the Sherwood House Now! 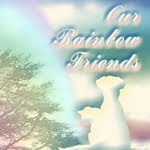 Keep your brofur and sisfurs in line and help Mommy ML, Daddy Charlie and KC get better! There's Our Boy! Glad she is feeling better, and glad that the vet was so nice to her at her visit. :) It's important to have that in your life!!!!! Glad charley is also better- we will continue to pray for them both! 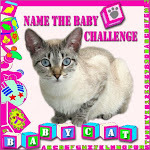 YAY that KC and Charley are better....we have the tag on our blog, and we will continue to purray for ALL of you. That is a most adorable tongue KC!!!!!!!! We are happy to see all our gorgeous faces! Glad Charley is better & sending purrs for KC. That Woman gets those migraine thingys too when the weather changes. We hope yours goes away very soon! I do hope KC is going to rally and get better, poor girl. And thank goodness daddy's virus didn't last too long. Those stomach things can be horrible while they do last, though. May the migraine go away as well. Gracie emailed us the news. 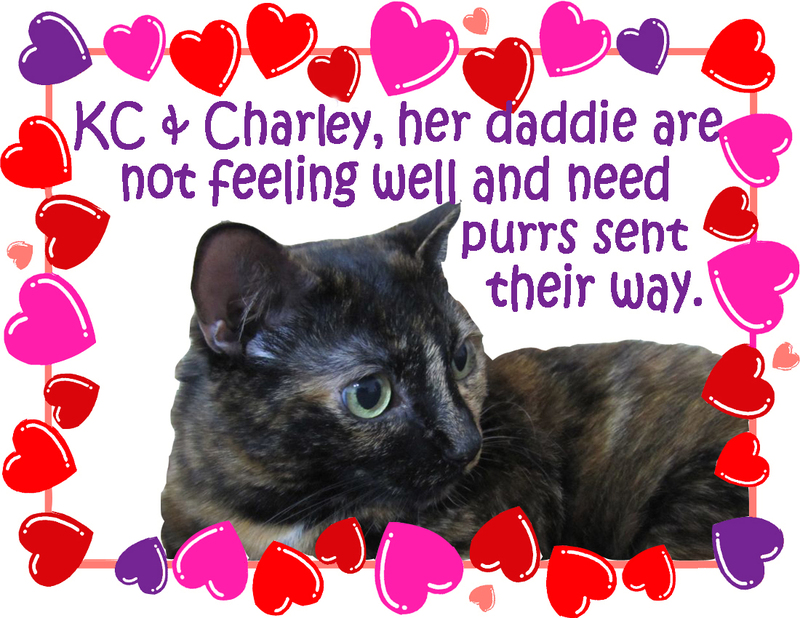 We are so sorry to hear the KC and Charley have been sick. We are keeping KC in our purs and are glad to hear that Charley is doing better. 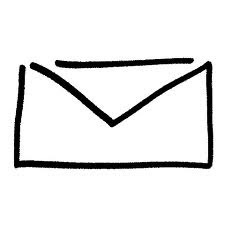 Mommy caught that darn stomach bugs couple of weeks ago and it was no funs.Mommy will sends you an email in a little while with some suggestions which may help KC. I'm glad to hear Daddy Charley is well! We will continue to send healing purrs to KC. <3 That picture is too cute! Hope KC gets to feeling better. Sending healing purrz her way. TW gets those migraines too. I am stopping by from Brian's and wanted to send my prayers to your whole family! I hope KC starts feeling better soon. I guess it is true...When it rains, it pours! sending loud PURRS your way !!! 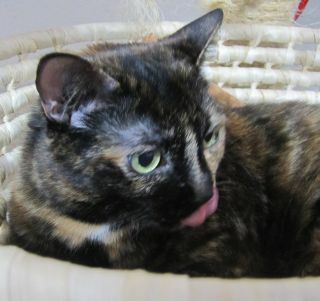 and CUTE photo of that lil tongue : ) mom loves those pics . Goodness, KC, I didn't know you were sick! I'm switching on the purr motor right away! We hope Gracie is feelin better soon, and are glad to hear that Daddy IS feelin better! We are still purring hard! Waiting to see how the v-e-t visit goes. Poor little KC! We never knew kitties could get stuffy noses! It sounds horrible! We hope she will be feeling better soon! We are glad daddy Charley is feeling better and hope KC soon feels better too. We're purring for all of you. Hope this week marks the turning point for all of you. KC I hope you get to feeling better. So sorry you aren't feeling well, please take care. I hope this was a day of healing and lots and lots of tea, --and soft foods for you KC. Get betters all of you! We're going to purr and pray until you are all feeling better. Hope you two are on the mend soon, ML too with that bad migraine. The PM gets them too. Not fun at all. Purrs, Purrayers and headbutts coming your way!